KABUL: President Mohammad Ashraf Ghani met yesterday with members of Kabul University Academic Council and students’ union of the university. In the meeting held at presidential palace with participation of minister of higher education and deputy minister, Chancellor of Kabul University Hamidullah Farooqi delivered a report in connection with achievements and works of the university. He said that visions that have been considered in connection with the university were strategic as field for activity to youth in particular women has been provided in administrative and leadership sections. After hearing the report, President Mohammad Ashraf Ghani said that the current capacities of both university lecturers and students should be changed to incomes resources and this would be one of key steps for independency of the university. “We’re working to implement four national processes as state-building, creating market, access to peace and nation-building,” the country’s President said, adding that Afghanistan would not reach to stability without state-building and it is necessary that universities should result in nurturing cadres that could make state-building process successful and break crime networks. Related to maintaining peace in the country, President Mohammad Ashraf Ghani said that young generation of the country should be providers of social peace in the country as social peace was key and necessary. 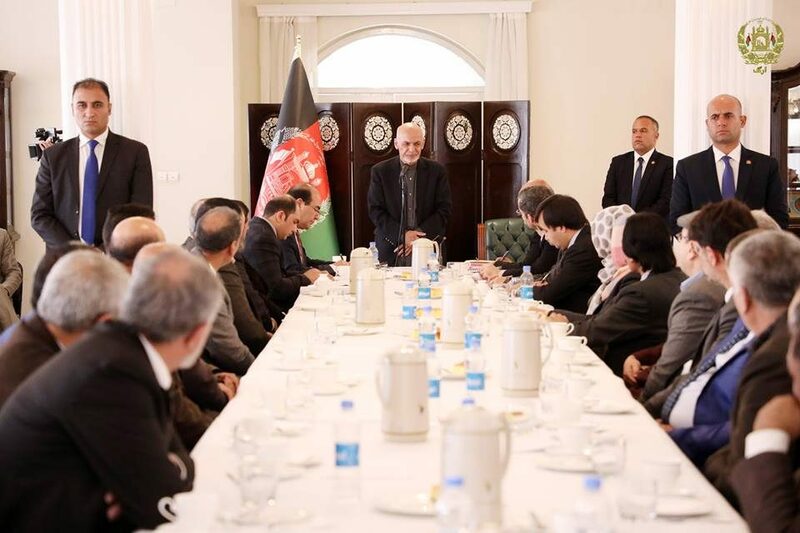 The country’s President further said that if it were necessary for issuing decree or modification of laws in connection with full implementation of draft on independency of Kabul University, I would be ready to do so, saying that ministry of finance would cooperate in maintaining financial resources in this regard.